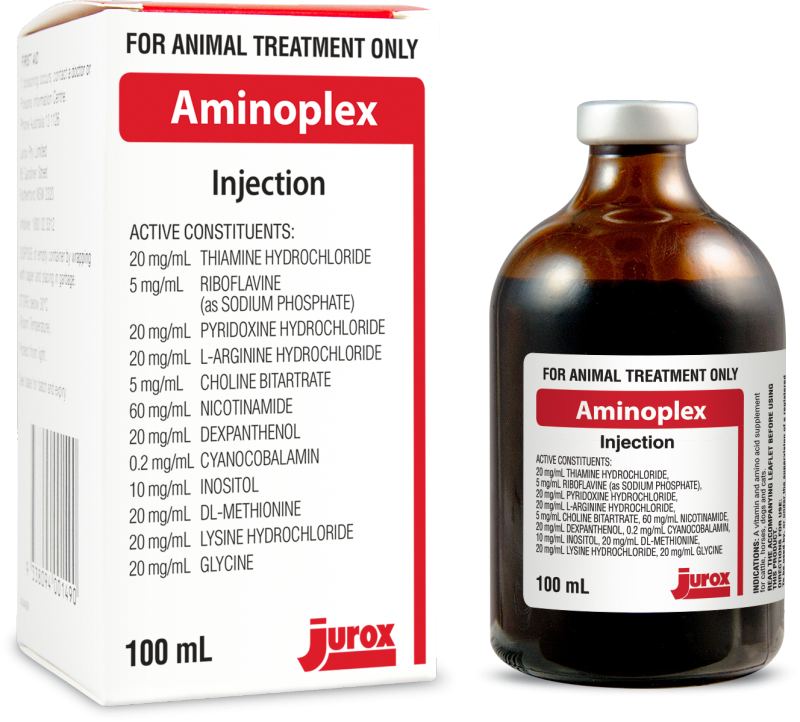 Vitamin and amino acid injection supplement for use in cattle, horses, dogs and cats. Vitamin and amino acid supplement. Administer by intravenous or intramuscular injection.